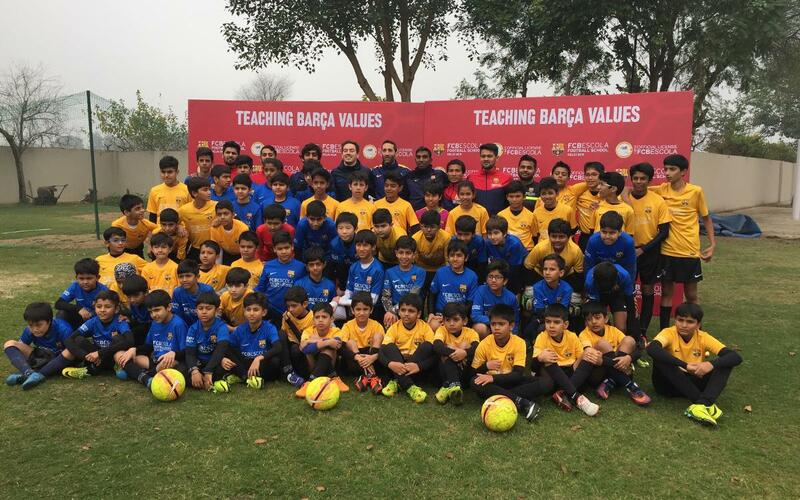 FCBEscola Delhi recently welcomed the first meeting between the two FC Barcelona schools in India, as the children of the Mumbai branch paid a visit. The objective of the days spent together was for the players of both schools to enjoy a pleasant experience, both from a football standpoint and a personal one. The meeting was held at the newly opened field that FCBEscola Delhi has at its headquarters in Gurgaon, one of the few facilities of this type in the country. Aitor Olmo, Director of the Local Project at FCBEscola Delhi stated that there “have been a few days of fraternity between the two FCBEscolas and we hope to be able to repeat this experience very soon”. The gathering allowed both schools to show their progression as the FCBEscola International Tournament, set for 10 to 13 April, approaches. Director of the Local Project at FCBEscola Mumbai, Albert Moratalla, said: “This meeting has been enriching for all of the players that had the opportunity to take part, especially for those from FCBEscola Mumbai, as it has come within the first year in existence and for many of its athletes the first time that they had made such a journey as representatives of the school outside of their city”. He went on to say that "initiatives such as these favour the integral training process of our players, we are willing to organize new events between both schools in the future”.